We may have some of the best botanical gardens in the world in Britain, but the US is certainly growing an impressive new breed of specialist gardens that rival ours in the UK! One of my favourites visited this year is the Daniel Stowe Botanical Garden in Belmont, North Carolina, which I saw on a memorable blue-sky day in February. 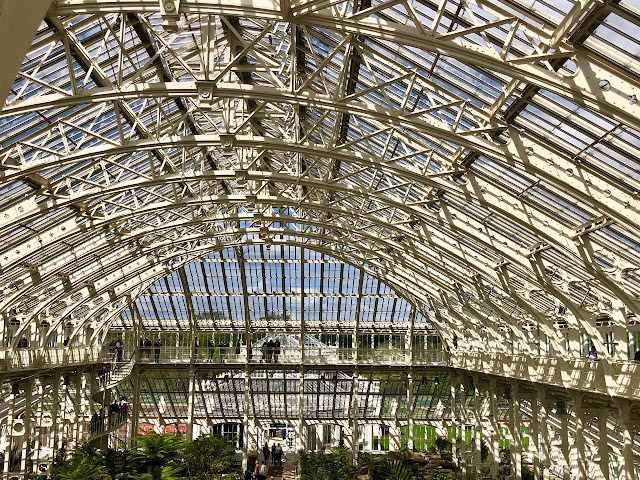 Opened just over 10 years ago, it has one of the finest conservatories I've seen, with impressive orchid displays and stunning epiphyte arches. The pergolas are pretty impressive too! A long way from North Carolina, but I'm glad I had the chance to visit the gardens at Deeg in Rajasthan which are a real reminder of days gone by, with an impressive display of Mughal pavilions and marble palaces. I went before the great monsoon of 2010 so water was a scarce commodity, but having just visited Rajasthan and seen the water levels in Udaipur, I can imagine how wonderful the gardens look now. 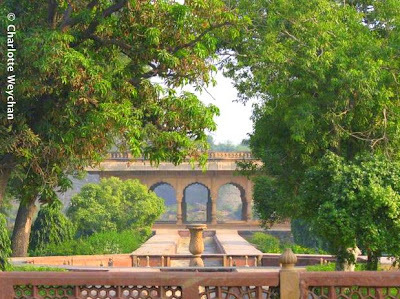 This amazing palace complex was built by the Jat rulers in the 18th century and the gardens are currently being restored. Denmans (above) home of much-loved English garden designer, John Brookes who designed the English Walled Garden at the Chicago Botanic Garden, is a must for any designer looking for ideas for their own patch at home. It is a series of garden rooms with wonderful plant and colour mixes, giving year-round interest. 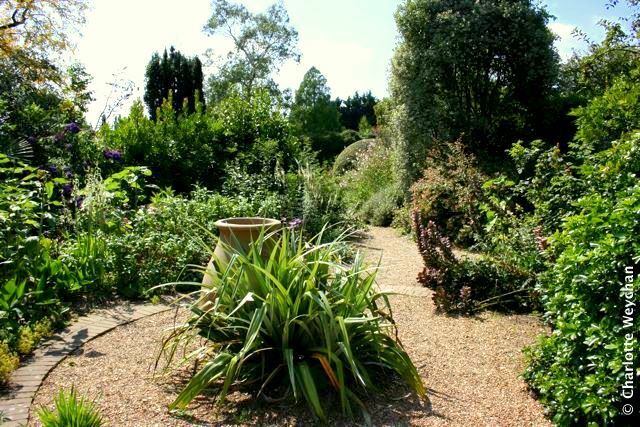 Located outside Chichester, near Sussex, it has an excellent nursery and is also a good location to combine with other gardens on the south coast. Docton Mill - it took me years to get here, but was well worth the wait and when I visited just recently, I was enchanted by this garden, nestling in an area of outstanding natural beauty on the Hartland Peninsular in North Devon. Quite different to other gardens in the area because of the stream running through it, there is a wide selection of shade and water loving plants here that you won't see elsewhere. There are records of the Mill here in Saxon times, but the present owners have restored this garden during the last 10 years. Well worth taking a detour for! Dyffryn in Wales is a fine example of what lottery money can do for a garden - it's an Edwardian garden being restored to its original splendour. Work started in 1997 and the gardens opened 10 years later. When I visited last year, they were well on their way to recovery and looked stunning. 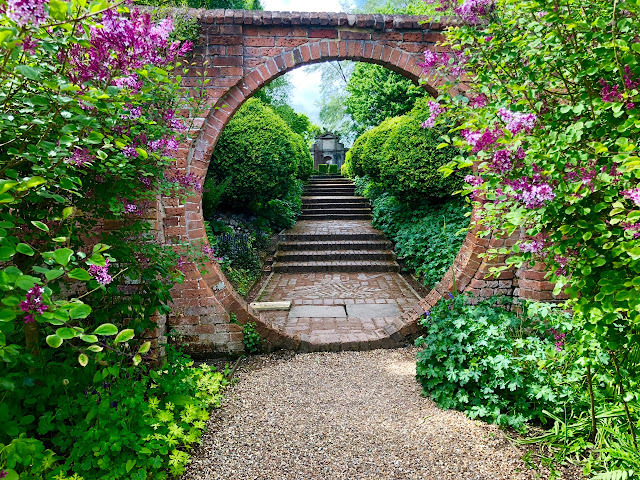 It was designed by Thomas Mawson who wrote "The Art and Craft of Garden Making", which lent its name to the style adopted by Gertrude Jekyll and Edwin Lutyens in their gardens. 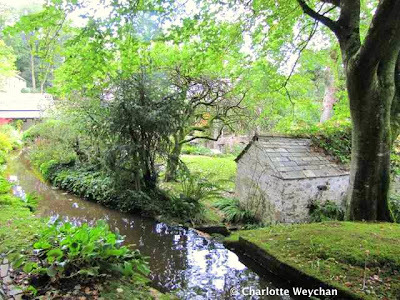 This is a project to watch, because different parts of the 55-acre garden are being restored each year and this promises to be one of the great gardens of Wales. 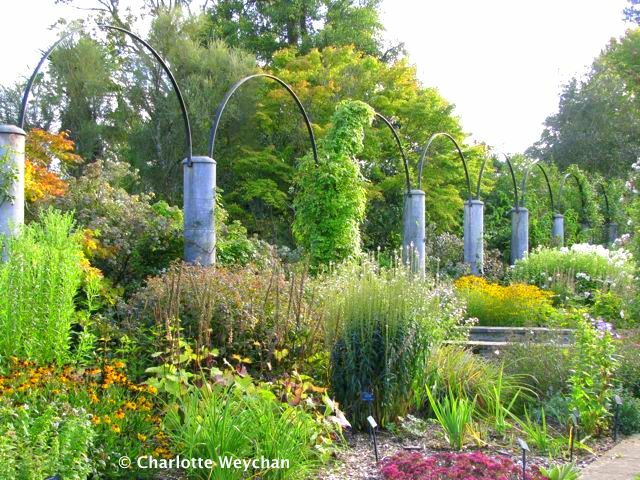 What a delightful little whirlwind of "must see" gardens! One of the things I like about your visits to other gardens is that you're never snotty or condescending, nor do you call gardens "crap", like some I've seen. It's always a pleasure to read your posts. Can't see the point in being snotty or condescending Jodi. I just don't write about gardens that don't make the grade! Merci de nous avoir fait connaître ces beaux jardins ! Beautiful 'D's'. I really like the image of the fish with the backdrop of fading grasses. It looks so peaceful. I knew the North Carolina garden would have yard art. Great fish. Beautiful gardens, I like this alphabet series. Color me jealous...I love visiting other gardens, such a source of inspiration! Wonderful gardens. Thanks for the visit. 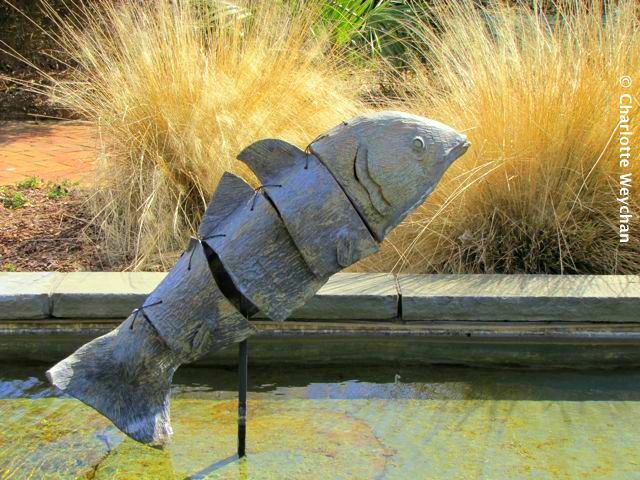 I just book marked the Daniel Stowe because I could visit there on a trip down to Florida and I love that fish sculpture. I always enjoy your garden photos - makes for a sunny outlook even when it's pretty dismal outside (like now).